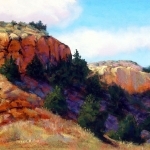 Starr Miller has a BA in Art and Education from the University of Northern Colorado. 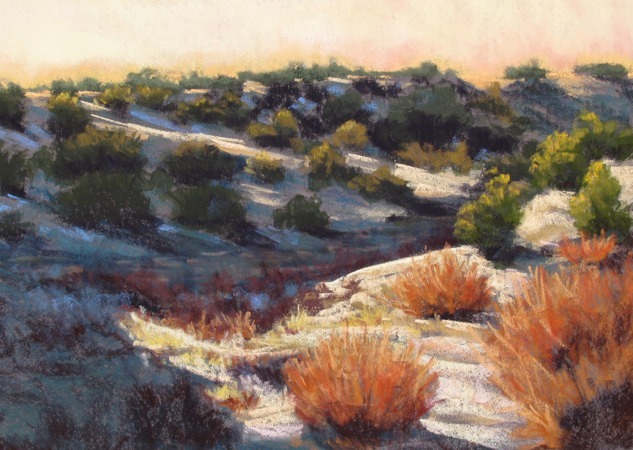 She taught Art and Ceramics for 30 years in Pueblo, Colorado schools. 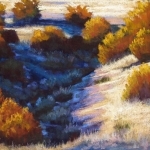 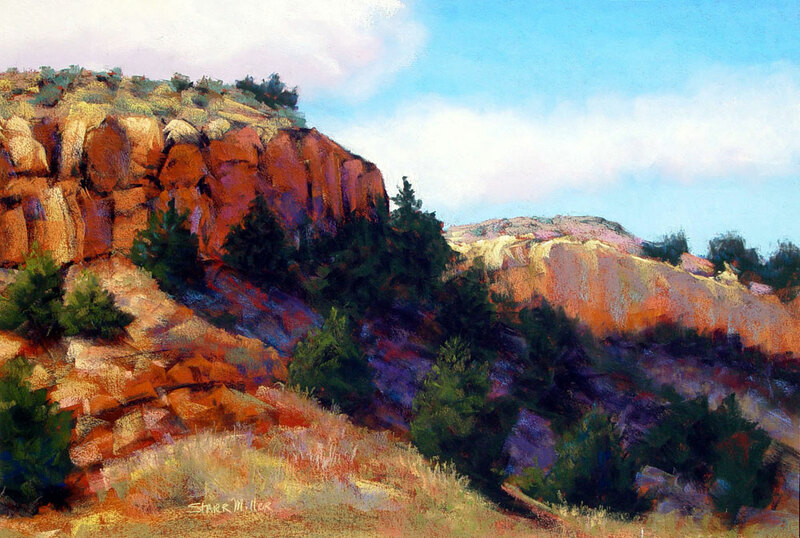 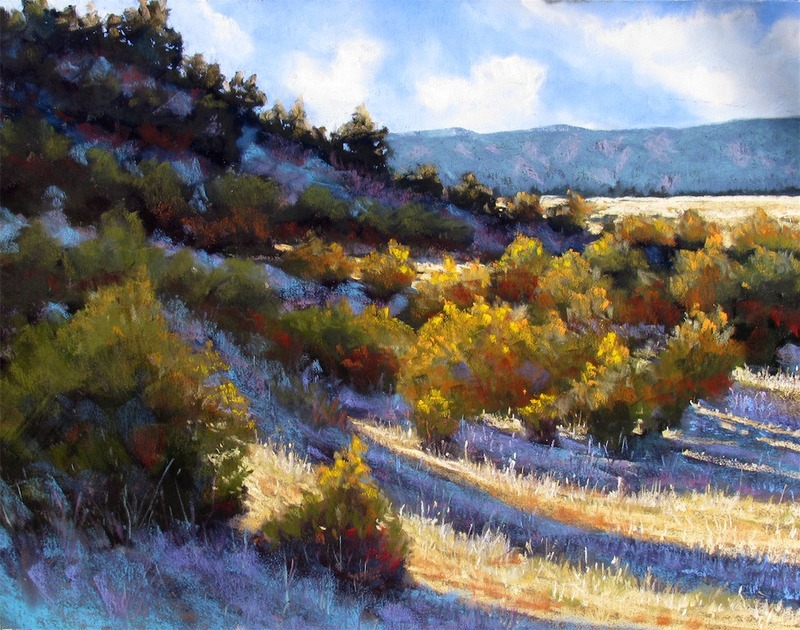 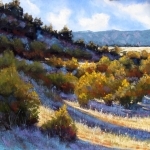 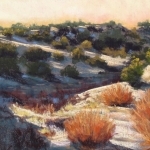 Starr presently devotes her time creating images of regional landscapes in pastel. 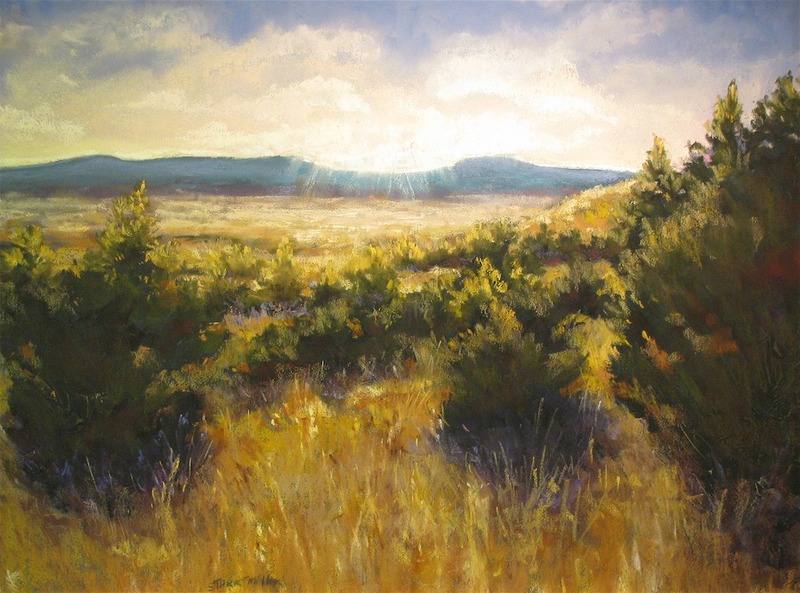 The Southern Colorado plains and foothills are her muse. 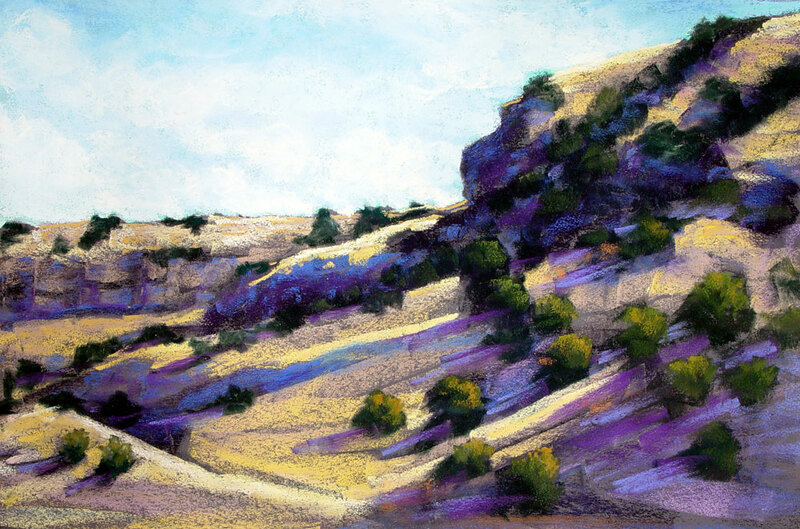 Pastels have proven to be the perfect medium due to their luminous color, durability and spontaneity. 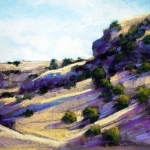 Bold strokes and surprise color are typical of the paintings that capture often overlooked lighting and nuances of the high plains. 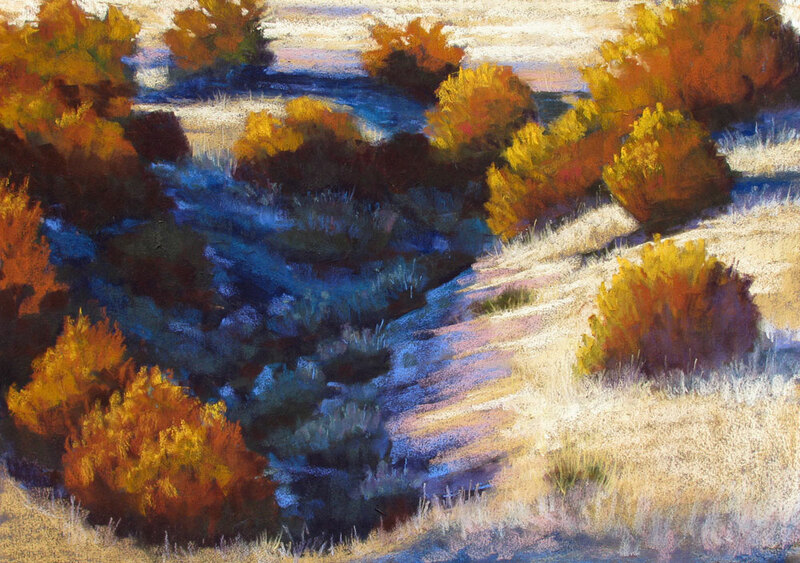 Her pastel paintings have received numerous awards in national and regional shows. 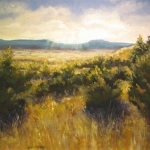 She is represented at the Turf Exchange Gallery in Pueblo, Colorado.